Los Angeles, USA 19, 20th April, New York, USA 6, 7th May, Dubai 7, 8th June, Amsterdam 15, 16th June, Singapore 13, 14th July. At New Life Mexico, LGBT couples , singles and HIV-positive men can look forward to holding the baby they’ve been longing for—thanks to the remarkably high success rates at our clinic, were families have had their dreams come true after a maximum of only three attempts. If, however, you are looking for a guarantee with true peace of mind, we are happy to offer our Guaranteed Baby Program, a program that promises to make your dream of parenthood a reality, no matter how many tries it takes. 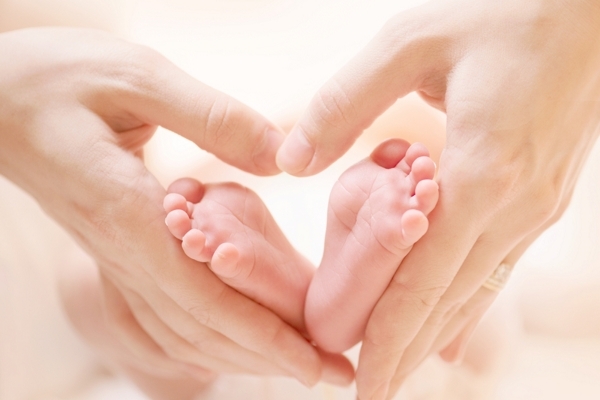 At New Life, we understand the critical role that our surrogate mothers play. We do not take the responsibility of their health, safety and comfort lightly. Each member of our team is dedicated to ensuring that each of our surrogate mothers receives the constant guidance, medical care and psychological counseling they need at every step of the way. By maintaining the best possible conditions at all times throughout the pregnancy, we can protect the surrogate mother and baby as we strive for a successful labor and delivery, and a healthy baby for you to hold in your loving arms. Parents-to-be that go through a New Life program benefit from the following free services: Airport Pickup, Nanny Matching, Translator Services and more. For those interested in a face-to-face meeting, we are happy to travel to your home country for a free one-hour consultation. Every year one of our lucky randomly selected client gets free IVF plus free stay in Cancun’s beachfront 5 star hotel along with the SPA treatment packages. single and HIV positive men that have successfully achieved their dreams of parenthood. New Life Group is a network of Egg Donor, Surrogacy Agencies and IVF Clinics throughout the world. New Life Mexico is one of the earliest established branches of this Group and is one of the most unique due to its capability of providing services for LGBT families, single individuals and HIV positive intended parents. Together with our sister clinics and agencies in nine different countries, we consistently strive to achieve New Life’s mission and goal: Help as many people as possible achieve the family of their dreams. This includes people of all backgrounds, preferences and walks of life. Thousands of people around the world have come to us for help making their dreams come true, and we have been blessed with the ability to help them finally find the success they were looking for. If your journey to parenthood has led you to us, you are in compassionate, accepting hands. New Life has had the privilege of joining the stories of parents from 73 countries throughout the world. As we embarked on these journeys with them, we’ve gained invaluable knowledge of Embassy processes and exit procedures of these countries. Now, equipped with this knowledge, our team can help you meet your new baby and take them home more quickly and easily, without any added stress or worry for you. New Life has helped thousands of parents all over the world achieve their dreams. If you would like to speak with them about their experience with us, please let our team know. My name is Dr. Mariam Kukunashvili and I’m the founder of New Life Network. Like many parents, my personal story has seen the pain and heartbreak of struggling to achieve the family I desired. That is why I decided to found New Life Global, a network of IVF clinics and egg donation and surrogacy agencies throughout the world. Through this network, my team and I have walked alongside more than 7,000 families of all backgrounds, preferences and walks of life on their journey to parenthood, and with every added chapter we are blessed with some of the most rewarding experiences.